Balmain continues to introduce a fresh, youthful energy to classic silhouettes for their Summer/Spring '19 collection. Expect expert craftsmanship and premium materials blended with sports-inspired elements and a contemporary finish. 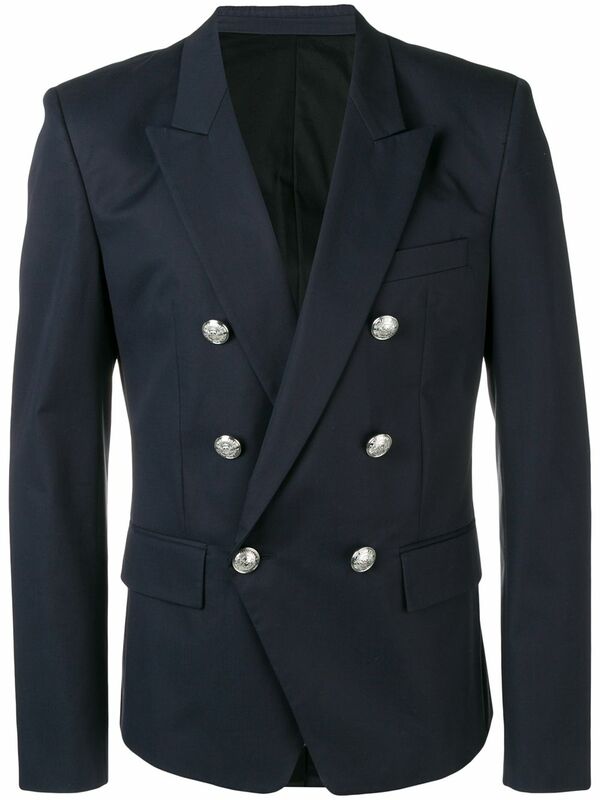 Expertly crafted in Italy from soft cotton, this navy blue blazer from Balmain features peaked lapels, a double breasted front fastening, a chest pocket, front flap pockets, a rear central vent and a slim fit.